Just a couple of weeks after losing Super Bowl XLVIII to the Seattle Seahawks, Peyton Manning was back in competition once again. He was facing a well known rival once again in the person of Patriots head coach Bill Belichick, once again… but this time the competition was out on the golf course at the Pebble Beach Pro-Am Tournament. At first Manning looked as if he would rather be a home watching the golf match on TV than once again thrown into the spot light. Peyton had probably had enough spot light for awhile anyway. Actually it was only a practice round that brought Manning and Belichick together out on the links. Had they played together during the tournament they might well have drawn more attention than the leaders of the pack. Imagine two of the biggest names in the NFL from opposing teams, playing golf together on national TV. But that was just for the practice round. Bill Belichick played with New Englander James Driscoll and Tom Brady paired with Ricky Barnes in a foursome. The Packers Aaron Rogers and the Chiefs Alex Smith were also out on the links for the event. 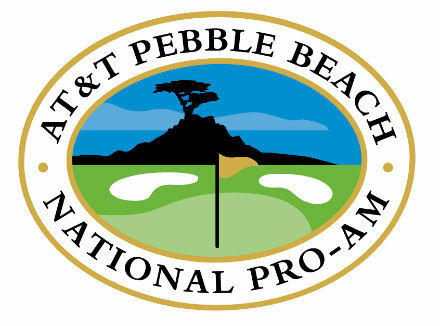 Now the Pebble Beach Pro-Am is not exactly the Masters. The tourney was started many years ago by Bing Crosby and some friends in an effort to raise money for charity and have a little fun in the process. In the early days it was more about the fun than the golf. The winner’s purse started out at $500 in 2014 it was up to over a million bucks! One guy who was very glad that Manning showed up at Pebble Beach was tourney director Steve John who said that when it was announced that Peyton would be participating this year there was a nice bump in ticket sales for the event. Local Bookies were laying short odds on the Over & Under on how long it would be before some enthusiastic NFL fan shouted ‘Omaha’ when Peyton teed off.